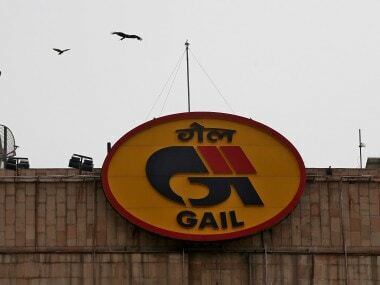 New Delhi: GAIL India Ltd, the country's largest natural gas marketer, on Friday reported a 23 percent rise in its April-June quarter net profit on better margins in gas trading and petrochemicals business. Net profit of Rs 1,259 crore in the first quarter of 2018-19 fiscal was higher than Rs 1,026 crore in the same period of last financial year, the company said in a statement in New Delhi. The profit was higher "mainly due to better performance by gas trading and petrochemicals segments," it said. Sales were up 50 percent at Rs 17,262 crore. Gross margin (EBITDA) witnessed a growth of 17 percent from Rs 2,015 crore in the first quarter of FY2017-18 to Rs 2,363 crore in April-June FY2018-19. GAIL said pre-tax profit for natural gas trading rose 64 percent to Rs 551.33 crore while the same from petrochemical business jumped to Rs 207.77 crore from Rs 47.29 crore. Company Chairman and Managing Director BC Tripathi said: "While all segments contributed positively to the company's profit, gas trading and petrochemicals segments performed better than the last quarter due to improved physical performance." Apart from healthy financial growth in the first quarter, the current financial year also saw important agreements entered by the company, he said. GAIL inked JV agreement with Greater Calcutta Gas Supply Corporation Ltd (a Government of West Bengal entity) for operating city gas network in Kolkata. It also signed Tolling Agreement with Dhamra LNG Terminal Pvt Ltd for 1.5 million tonnes per annum capacity at Dhamra LNG Terminal, Odisha. Tripathi said city gas distribution (CGD) commercial activities in Varanasi and Cuttack have started. GAIL Gas Ltd, a 100 percent subsidiary of GAIL, along with joint ventures participated in 9th CGD bidding which are under evaluation and "GAIL expects to add more geographical areas into its CGD business," the statement added.